Roaring sounds, cutting-edge solos, colossal power - Generation Axe is THE American rock guitarist supergroup formed by Steve Vai guitar wunderkind and three-time Grammy winner ex Frank Zappa Whitesnake, David Lee Roth. For this superb project, the exceptional musician assembled the collective epitome of world-class rock guitarists by his side. Part of this group are, besides Vai himself, legendary guitar heroes Yngwie Malmsteen, Zakk Wylde (Black Label Society/ Ozzy Osbourne), Nuno Bettencourt (Extreme) and Tosin Abasi (Animals As Leaders). After joining forces in 2016, Generation Axe toured North America in April and May 2016, and Asia in April 2017. Following the vast support, in November and December of 2018 they performed an additional 32 city tour of North American tour. “Generation Axe: The Guitars that Destroyed the World (Live in China)” record was culled from various performances on their last and very successful tour of Asia and marks a historical moment in music history! 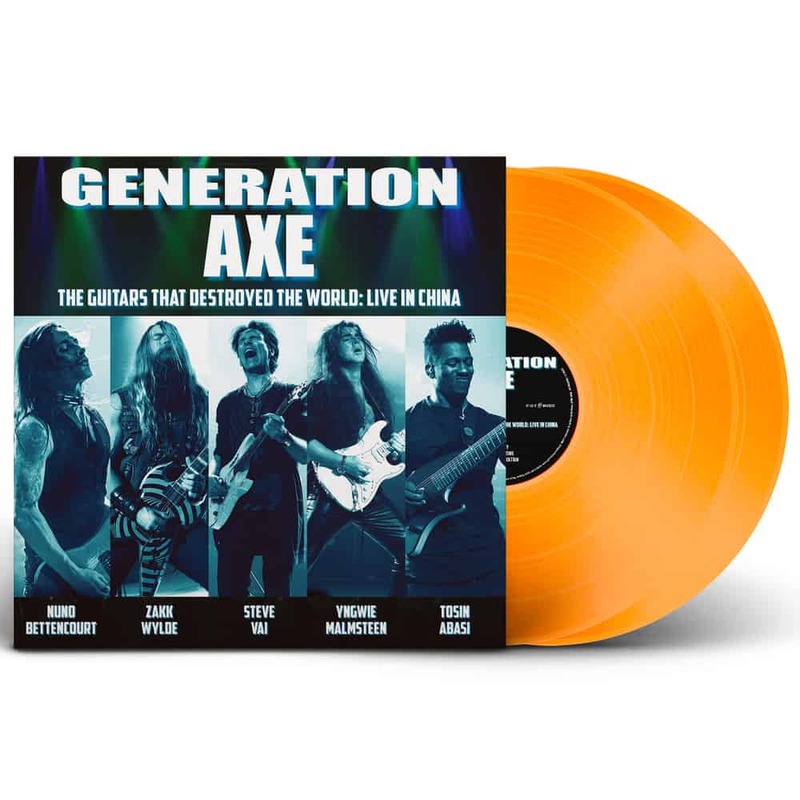 Generation Axe: The Guitars That Destroyed The World (Live In China) will be released as a CD Digipak, Limited coloured 2LP+Download and Digital on June 28th, 2019 on earMUSIC.